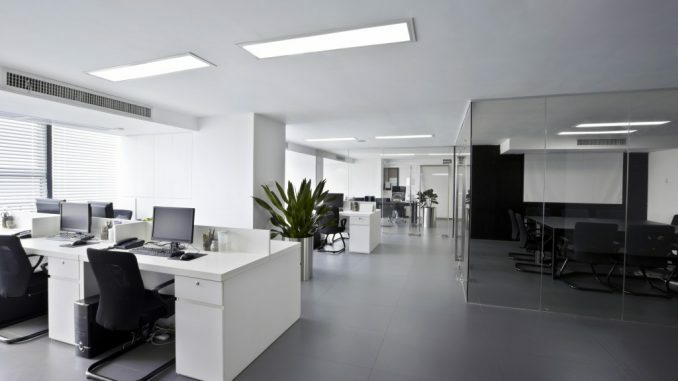 Your office’s floors are one of the most important determining factors not only in guests’ first impressions, but your employees satisfaction levels with the workspace. No one wants to walk around a grimy space all day, let alone spend their time sitting in the mess. However, floor cleanliness isn’t based solely on obvious spills; dust and dirt can build up quickly to create damaging layers of debris. Make sure you are taking the proper steps to keep your floors in tip top shape and always presentable. First, begin by assessing your floors and taking note of its current conditions. Aside from just checking for scratches and dullness, look for wear and tear on your floor’s matting, tiles and treads. Also, determine your floor’s history and create a record of where and when people have tripped and slipped, and note what areas may be generating safety hazards. After gathering the above information, determine which spots need maintenance, and what can be done in house and what requires a professional. Conn Clean offers a variety of basic floor cleaning and repair services to bring your damaged floors back to life. After all of this, determine what processes are one time solutions to repair intensive damage and what should become part of a regular routine. Most flooring materials require regular maintenance on a daily and weekly basis in order to keep their original appearances. When you clean your floors with chemical solutions, it is extremely important to make sure that you are using the proper chemical and that it is thoroughly diluted to prevent damage. If you’re stuck, feel free to give us a call at (203)-278-5400, and one of our janitorial experts will be happy to walk you through all the cleaning options Conn Clean has to offer your business!